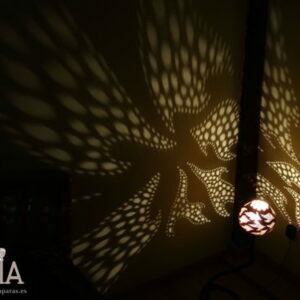 This beautiful exotic lamp is designed and worked by hand, in an artisanal way, always thinking of creating exotic and pleasant environments, to transform the environment of the place where the lamp is placed. 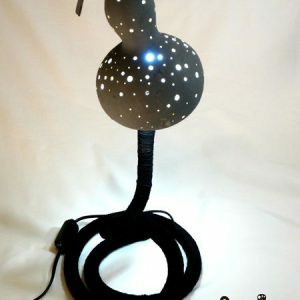 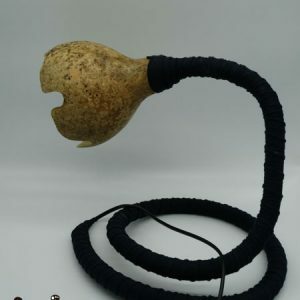 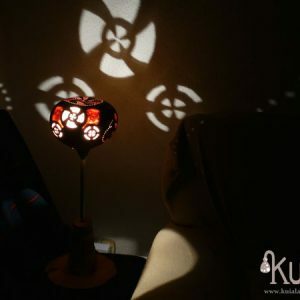 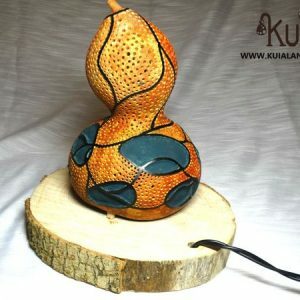 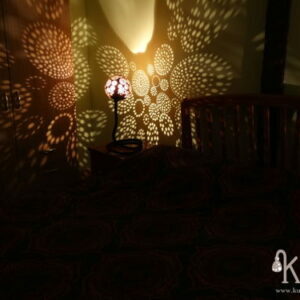 It is a bedside lamp, with a flexible tube, which can be adapted to the taste of each one, giving it the shape that each one wants.The gourd, used as a tulip, has a carving of holes of different diameters, following a pattern designed to recreate a unique atmosphere with its play of lights and shadows. 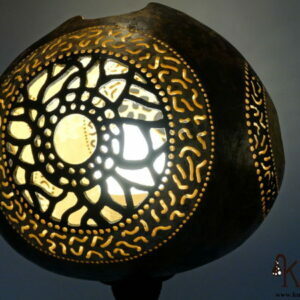 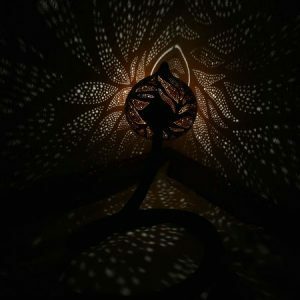 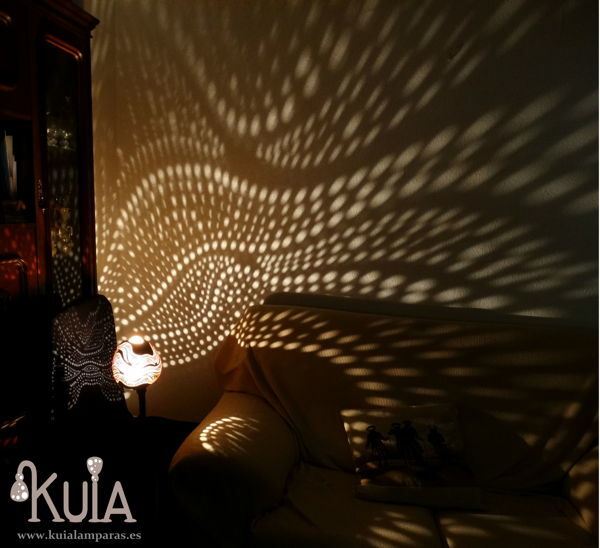 Each hole, projects the light in a way, that when encountering the wall recreates all the carvings that are in it, turning the space into a magical place full of light.The pumpkin is divided into 3 segments with 3 different colors, black, red, and the natural color of the gourd.If you are looking for a unique lamp, something exotic and different that you can not find in more places this is your lamp, either for you or for a gift, this lamp will completely transform the place where you place it.